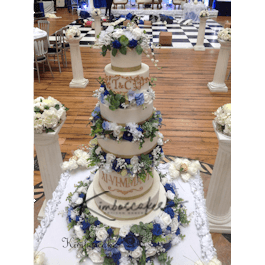 2 x 12 inch cutting cakes also provided. 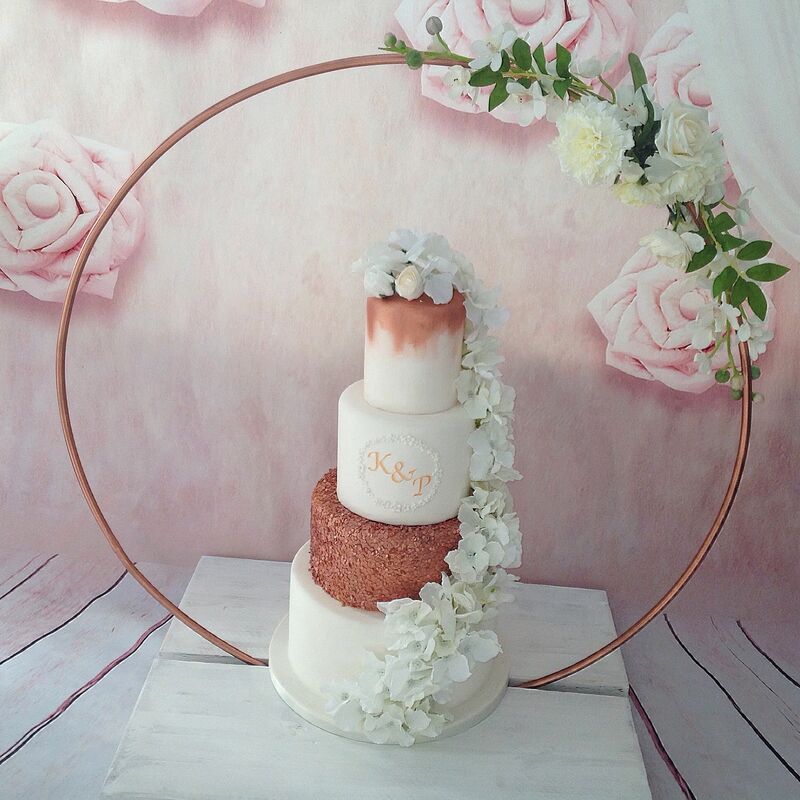 Available in a range of sizes and flavours This particular Asian Wedding Cake is just one of many that we are asked to make for our amazing couples. As an Atrisan Baker we source and use only fresh ingredients. 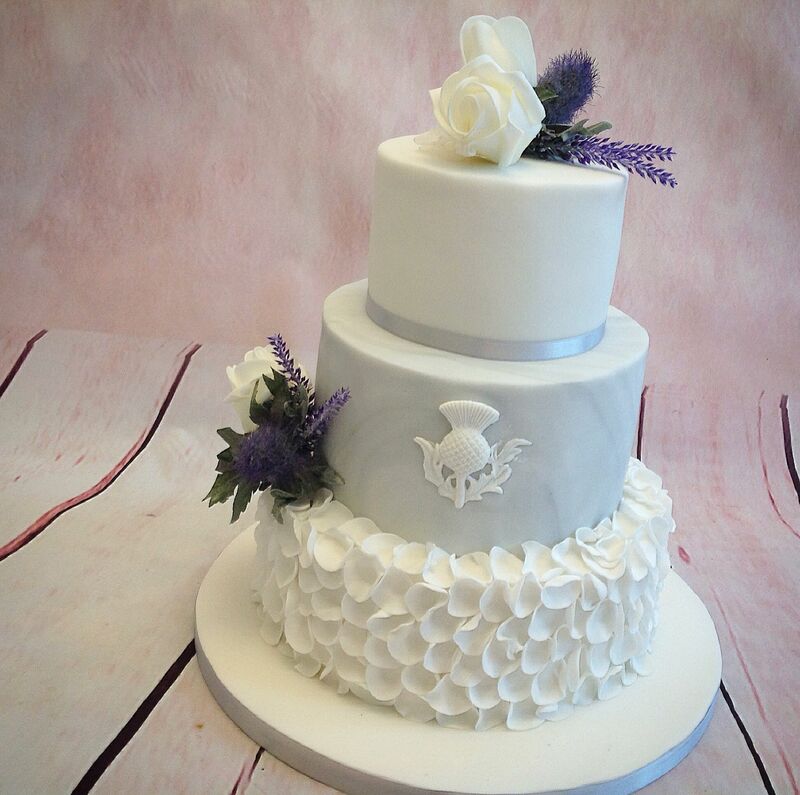 Each cake is made by hand the traditional way. 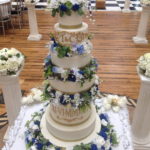 The cake has an ivory base colour on all tiers. (Other colours are also available). 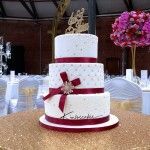 At the base of the tiers of this gorgeous Asian Wedding Cake we have a shimmering gold ribbon around them. 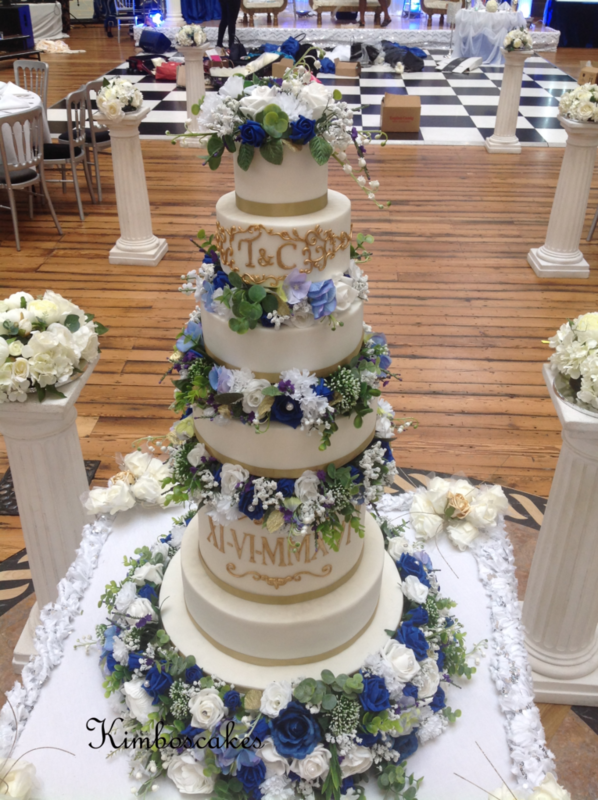 The second tier from the top shows the Bride and Grooms initials. These are enclosed in a beautiful decorative patern. All of these are both hand made and painted in edible colouring. 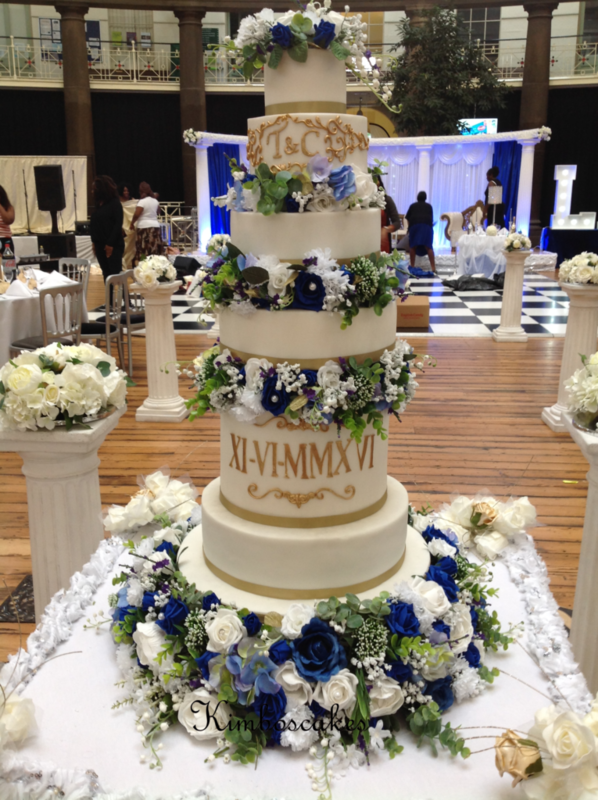 We incorporated the date of the wedding on the tier lower down. This is also hand made and coloured in a shimmering gold effect. 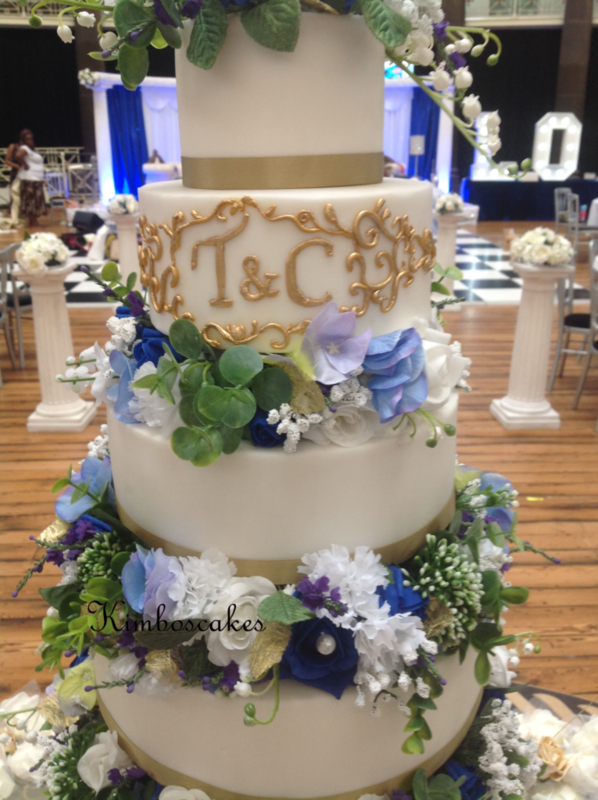 Different flavoured cakes were provided for all the tiers, along with seperate cutting cakes in order to cater for the amount of guests. 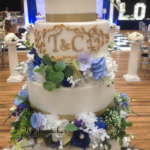 All the flowers that we provided are false foam style and the colours set the cake of beautifully. 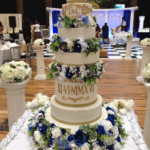 We also provide fresh flowers and hand made iced flowers, if you prefer. 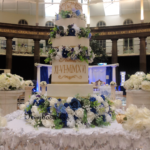 In the price shown below we have included delivery and set up of this gorgeous cake to the Amazing Devonshire Dome in Buxton. This amazing venue has to be seen to be appreciated. 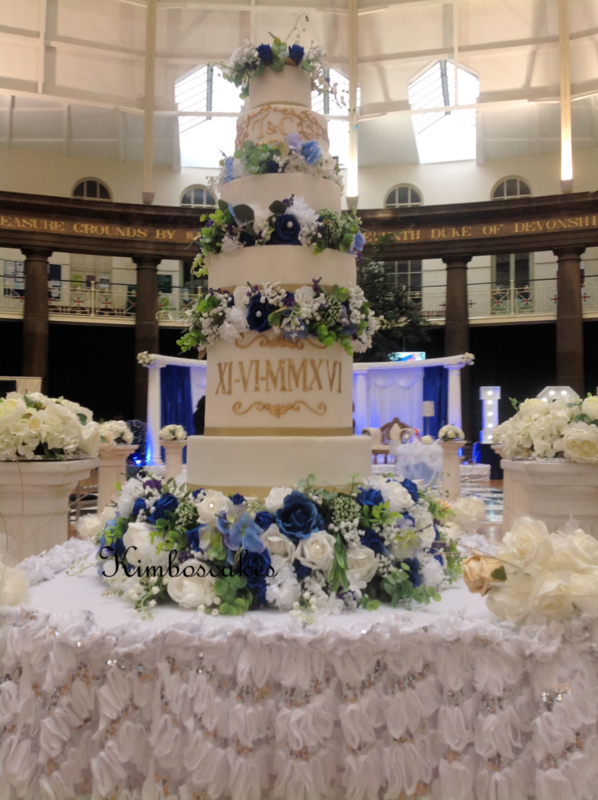 It can also cater for up to 800 people, so, it is an ideal choice for the larger weddings.